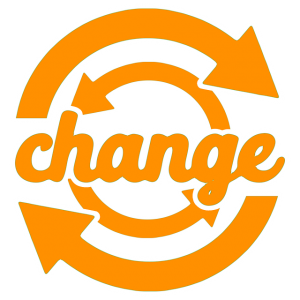 During my time as a pastor, I have often encountered people who resist change. They are not the majority but they are a vocal minority. 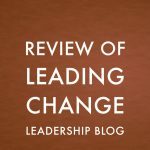 Why do people resist change? While there are people in churches who are nasty and who want to sabotage the efforts of leadership, I have not really encountered that. Even if it may be frustrating at the time, the people who are against change mostly have innocent reasons. 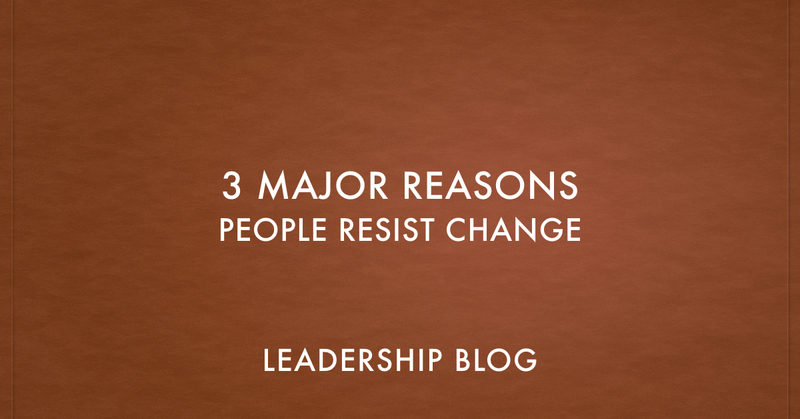 These are the three most common reasons that I have seen for people resisting change. Some people do not want change because the way things are is comfortable and they don’t want to give it up. Pastors are often critical of this attitude, but I can actually identify. I once attended a church which had services that included 45 minutes of worship and 45 minutes of preaching. For some people that would be a lot. The pastor had a conviction that this was not giving God our all. So he doubled both parts, moving to 1.5 hours of worship and 1.5 hours of preaching. That made me uncomfortable and I was not sorry to leave that church. For many people, church is a place of comfort. Even the most contemporary churches have tradition and tradition creates comfort. Changing things, small or great, threatens that comfort. We need to be aware of this and how people feel. For some people, the way things are is not just comfortable but is correct. The way we do worship or pastoral care or outreach ministry is the right way. It worked in the past and if we continue with the proven ways, we will see success again. This isn’t just pure stubbornness. There is a conviction that keeping things the way they are is the best for the organization or church. Perhaps the way things have been done are not as effective as they once were. But that doesn’t mean that changing things will make things better. The current way may be leading to a 10% decrease but a changed way may lead to a 50% decrease. This fear should be taken seriously. While I believe that change is necessary for survival, not all change will benefit. There are changes that do make things worse. The potential ramifications need to be taken into account when change is being considered. Change is important, essential and inevitable for the continued success of a church. However, we have to remember that there are real people having a real reaction to change. That doesn’t mean that we stop the change, but we need to try and understand their perspective.